Kyoko Selden (1936-2013) taught Japanese language and literature as a senior lecturer at Cornell University until her retirement in 2008. 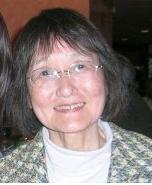 Author, translator, artist and calligrapher, she was the translation coordinator of the Asia-Pacific Journal. Her major works as translator centered on Japanese women writers, the atomic bomb, the Ainu and the Okinawans. Her major translations included Japanese Women Writers: Twentieth Century Short Fiction, More Stories By Japanese Women Writers, An Anthology, Kayano Shigeru’s Our Land Was a Forest, Honda Katsuichi’s Harukor: Ainu Woman’s Tale, The Atomic Bomb: Voices From Hiroshima and Nagasaki, Shin’ichi Suzuki's Nurtured by Love, and Cho Kyo’s The Search for the Beautiful Woman, A Cultural History of Japanese and Chinese Beauty.